Scotchgard is an additional cost of .15 per sq.ft., it can be applied to carpet & upholstery after it has been cleaned. Truck-mounted steam cleaning (enclosed pressure washing) for your ceramic,or stone tile and grout to blast away years of dirt and grime. 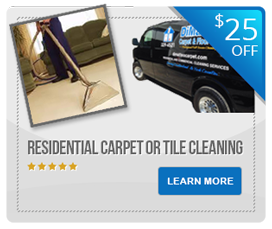 "I have hired Dimatteo Cleaning Service for a variety of projects over the years. I find his prices very reasonable, and the work is always top notch." "We have been repeatedly pleased with the work of Lee & Michelle Dimatteo. With 2 kids, a dog and while carpets, we have relied on Lee over the years to keep our carpets looking new. They are professional, fast and the price is extremely reasonable. I highly recommend their service to my friends every chance I get."